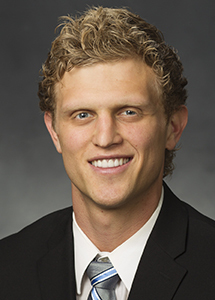 Tyler Haws was a member of the BYU basketball team from 2009-10, 2015 (Class of 2009). 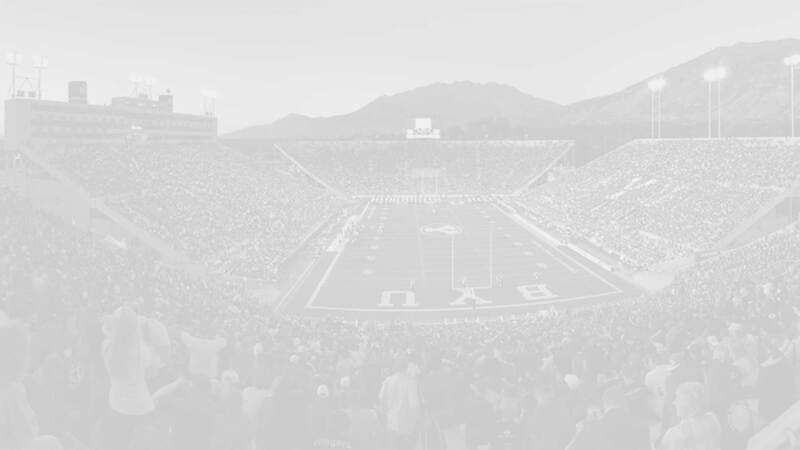 H was the West Coast Conference Player of the Year (2014), an AP All-American honorable mention (2014), and holds 17 BYU or WCC records. Haws was not drafted but did play in the 2015 NBA summer league for the Cleavland Cavaliers. Haws made an impact at BYU his Freshman season averaging 11.3 points and 4.2 rebounds per game while shooting .498 from the field, .368 from three, and .917 from the line (a school record for freshman). 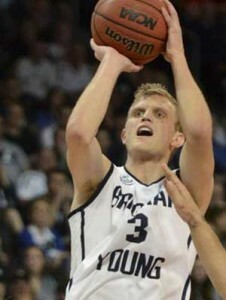 He set the BYU record by making 48 consecutive free throws. 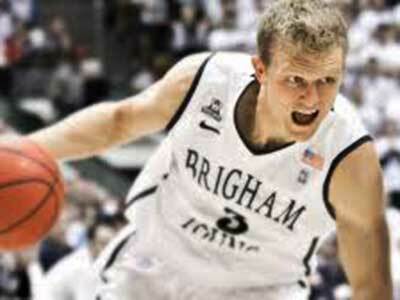 He was named to the All-MWC third team, Academic All-MWC, and male Rookie of the Year and Most Inspirational at BYU. 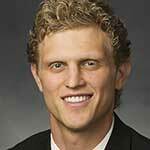 Following his freshman season he served an LDS mission to the Philippines. After his mission Haws made headlines by not playing right away but by instead slowly easing back into playing. His system for shaking the post-mission rust has now been replicated by several other players to great success. He was named a team captain for his sophomore season where he averaged 21.7 points, 4.6 rebounds, 2.0 assists, and 1.3 steals that season. He was named to the All-WCC team, USBWA All-District VIII first team, and NABC All-District 9 First Team. He ranked 1st in WCC in scoring (7th nationally), was 2nd in free throw percentage, and 3rd in minutes played. His 42 point outing against Virginia Tech got him national recognition as player of the week. In the postseason he led the cougars to a deep run in the NIT where he set several BYU scoring records. He was also selected as one of 12-players to represent Team USA at the 2013 World University games. As a Junior he continued to score in bunches and established his reputation as being a reliable (albeit somewhat boring) scorer. His line of 23.2, 3.8, 1.5, and 1.0 made him MVP on the team and he was again named as a team captain. He was named WCC Player of the Year, and AP All-American honorable mention, and a member of the USBWA All-District VIII, the NABC All-District 9, Basketball Times All-District, and WCC first teams. He ranked 6th in the nation in points per game, 5th in total points, 6th in field goal attempts and field goals made, and 5th in free throws made. He was 1st in the WCC in all of those categories and was 3rd in free throw percentage and 4th in minutes played. He continued in his consistent scoring ways his senior season while improving his deep game and defense. He was second in the NCAA in scoring at 22.3 points per game. Haws was born in Belgium but was raised in Alpine Utah. 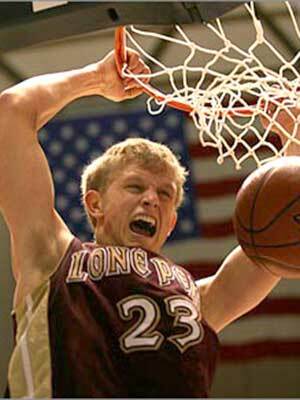 He played High School basketball at Lone Peak where he was the all-time leading scorer (1772 points) and was named Deseret News Mr. Basketball and Gatorade Utah Boys Basketball Player of the Year his junior and senior seasons. Led LP to state titles his sophomore and junior seasons with a second place finish his senior year. He set 21 school records. He was recruited by Marquette, UCLA, Gonzaga, San Diego, Pepperdine, USC, Stanford, Cal, Utah, Wake Forest, Davidson, Harvard, and Penn. Position: Shooting Guard HT/WT: 6’5”, 200 lbs.